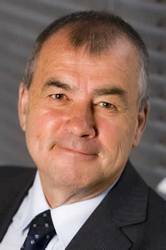 The General Secretary of the TUC, Brendan Barber, will be speaking in Bristol on Wednesday 6 April. The TUC represents 55 unions, including the NUJ, with a total membership of around 6.2 million people working in all sectors of the economy. In an event organised by the Bristol Business School events team at the University of the West of England, Brendan will be speaking about Britain at the crossroads, with the Government trying to deal with the deficit with the fastest and deepest cuts in living memory, which in turn could make things worse. Is there a credible alternative strategy? How do we rebalance the economy and compete in global markets? Can business, unions and Government work together to rebuild our national prosperity? Anyone interested in hearing more details about the “Alternative” for which up to half a million people marched in London on 26 March might enjoy going along to hear more about this vital topic. The talk is at Future Inns Cabot Circus Hotel on Bond Street South, BS1 3EN. The event starts with registration and refreshments at 18.00 and then there is Brendan’s address and a Q&A session, followed by canapes, drinks and networking; the whole event finishes at 20.30. Attendees are asked to park in Cabot Circus car park, where the parking is free for people attending this event. The price is £15 for members of the business community, £7.50 for UWE alumni, and free for UWE staff and students. Electronic registration is now closed, so attendees are asked to pay at the door and bring the right money as there will be no change. Journalist colleagues should also note that Chatham House Rule will apply during the course of the evening, including during the Q and A session. Please note, this is not an event organised nor formally endorsed by Bristol NUJ.